The Skoda Kamiq is the production-spec version of the Vision X SUV that the company unveiled at Geneva last year. After a yearlong wait, Skoda has finally announced the official name of their upcoming SUV based on the Vision X Concept. The Kamiq, as it will be called in the European market, will make its official debut at the Geneva Motor Show in March 2019. This SUV gets its name from the Inuit people residing in Canada and Greenland. It represents something that fits as perfectly as a second skin in every situation. Interestingly, Skoda already has an SUV in the Chinese market by the same name. Another primary reason for choosing the name is its designation falls in line with the rest of the Skoda line-up – with the name starting with a K and ending with a Q. 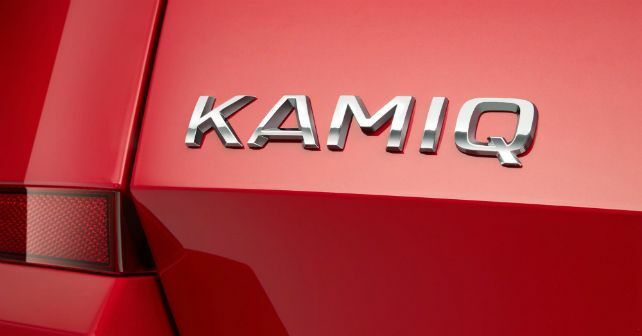 The Kamiq is expected to go on sale in the European market towards the end of the year. Positioned below the Kodiaq and the Karoq, this will be the third SUV to be launched in Skoda’s product portfolio. Skoda will be marketing this as a lifestyle-oriented entry-level urban offering. The company claims that the Kamiq will offer the best of both worlds - the agility and handling of a compact car and the tall seating posture, better seating position, and higher ground clearance of a crossover. The official statement also revealed that the Kamiq will sport a lot of ‘simply clever’ features that their cars are known for. Globally, the Skoda Kamiq will be unveiled at the Geneva Motor Show in March. Expect the concept to make its way to India at the Auto Expo 2020, with its launch towards the end of that year.